The catch is—it’s harder to do this in social situations. Right? People don’t exactly appreciate a lead in of “So, tell me about your biggest struggle” in everyday conversation. Dear God, my heart might stop if someone asked me that at a cocktail party! Even though I thoroughly enjoy people—as an HSP who leans toward introversion—while I appreciate being invited, I can cringe at the idea of going to just such a cocktail party or summer BBQ. So many potential moments of awkwardness or lag in conversation or the dreaded small talk. Don’t get me wrong—I have enjoyed plenty a party and hope to enjoy many more in my lifetime, but it really helps when the conversation gets good, when I can sink my teeth into it. (And, let’s be honest, a beverage or two never hurts to relax the awkwardness and help me settle in. J ) So, as HSPs, how can we create situations and conversations that hook us? You can even use social media as an entry point to go deeper into whatever the trend of the moment is. “So, I’m fascinated by what causes an item or issue to become part of pop culture. Take fidget spinners—fidgets have been around for years. Why do you think these are so huge right now?” Tie in what you know or have read to the conversation. 2. Focus on open-ended questions. As HSPs, we tend to be good listeners and good question askers. Use these skills to your advantage. Join a conversation, and listen to what people are saying. Ask a question about what most interests you. People usually like to talk, and this can generate some great stories! Discussing a recent movie—“What’s the best movie you’ve seen this year?” Then, you can all explore why people loved certain movies and compare and contrast your thoughts and experiences. Work or career—“I don’t know much about ____; what’s your day like?” Or “What gets you excited (or what’s the best part) of your work?” or “What drew you to your career?” If they don’t seem to enjoy their career, you can even ask about how they spend their free time/what their passion is--what gets them amped up and makes them come alive. I find it can be as simple as taking the usual small talk topics and asking some good questions to go deeper, beyond the normal banter. I even find that other people seem to come alive more as the conversation gets more real and honest, which energizes me too! While small talk is very much part of our culture, and may even be a necessary step for we humans to connect, it can be refreshing to focus on easy-to-implement strategies for steering conversations toward what’s real and meaningful. Because, we know, connection with others matters immensely and deeply enriches life. So, here’s hoping this helps ya appreciate how your sensitive nature can steer you toward having some great conversations at your next party! 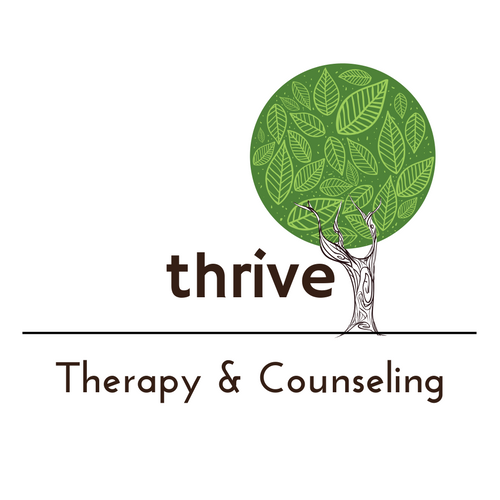 Want to get Tips from a Highly Sensitive Therapist straight to your inbox? Sign up for the newsletter here (at the bottom of the page)!